She was awakened in her teens and trained by masterful beings in Higher Realms who have helped guide her destiny. She entered a mystery school in her early twenties, which she attended for 14 years, and headed a mystery school on the island of Oahu in her 30’s. Her mystery school teachings have continued in many forms. 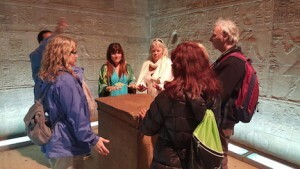 She offers Sacred Alchemist Mastery Intensives at sacred sites around the world, private healing retreats in Sedona, and programs and courses by phone accelerating the Soul Advancement of those who have come to fulfill an extraordinary destiny. With her graduates, she is serving the Global Community through the virtual Center for Advanced Healing, providing a vast array of healing sessions, readings and other offerings.